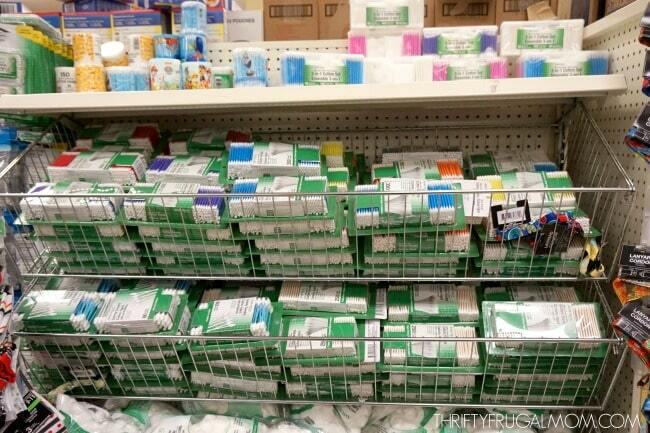 Ever wondered what is worth buying at Dollar Tree? 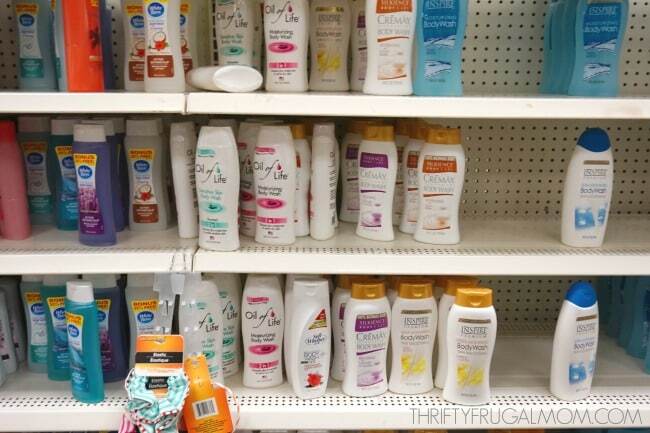 Here are my 35 favorite Dollar Tree deals that I choose to buy there to save money! For years I avoided Dollar Tree, I guess mostly because I figured that that the products had to be junk to be sold that cheap. 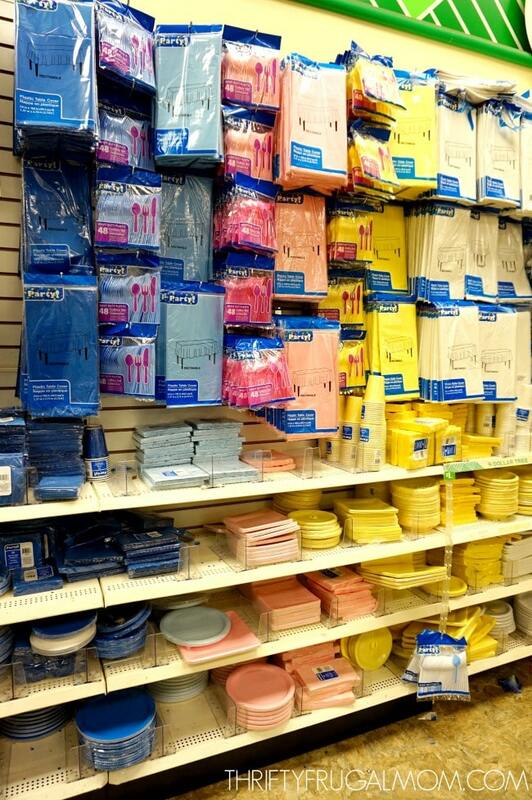 But the last several years I’ve started to shop there more and have come to love Dollar Tree and it’s bargains! Yes, some things are super cheap and not worth buying. And some things aren’t even that great of a deal and are cheaper bought elsewhere. But the truth is, you can get some great things for just $1.00! 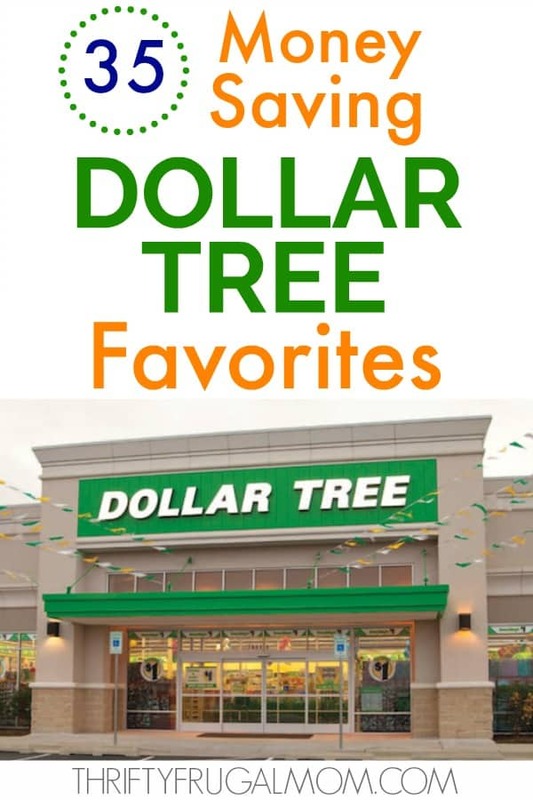 Since you all enjoyed my What to Buy at Aldi post so much, just for fun, I thought I’d share my favorite Dollar Tree deals too! 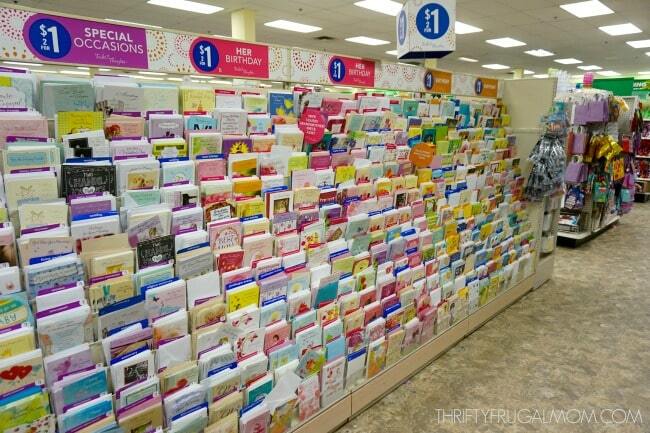 Dollar Tree is the only place that I’ve bought greeting cards for years! You simply can’t beat the price of 2 cards for $1.00! They have birthday, wedding, baby, sympathy and more, plus they also carry seasonal cards such as Valentine’s, Mother’s Day, Father’s Day and Christmas! 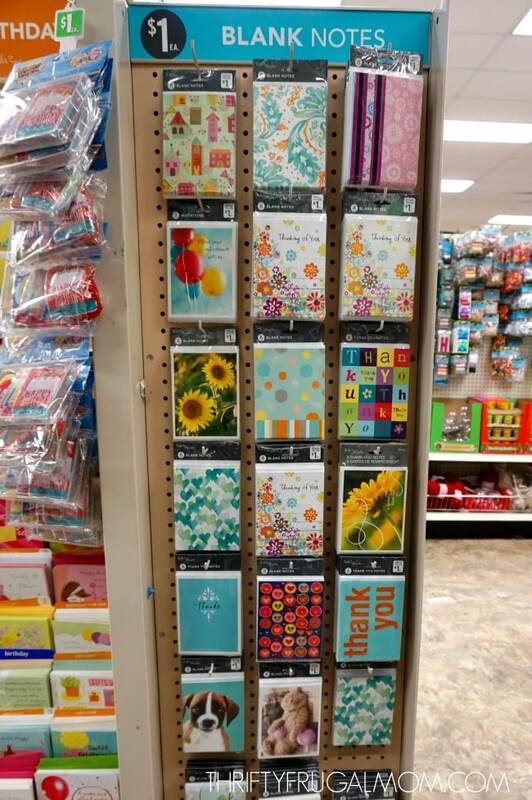 Dollar Tree has a nice selection of both blank and thank you note card packs and the quality of the cards is great! There’s something to be said for attractively presenting gifts, but I definitely don’t like to spend more on it than necessary and love that I can find pretty gift wrap options at Dollar Tree for cheap! Lots of solid colored options available! 6. Blowouts, Party Hats, Banners etc. 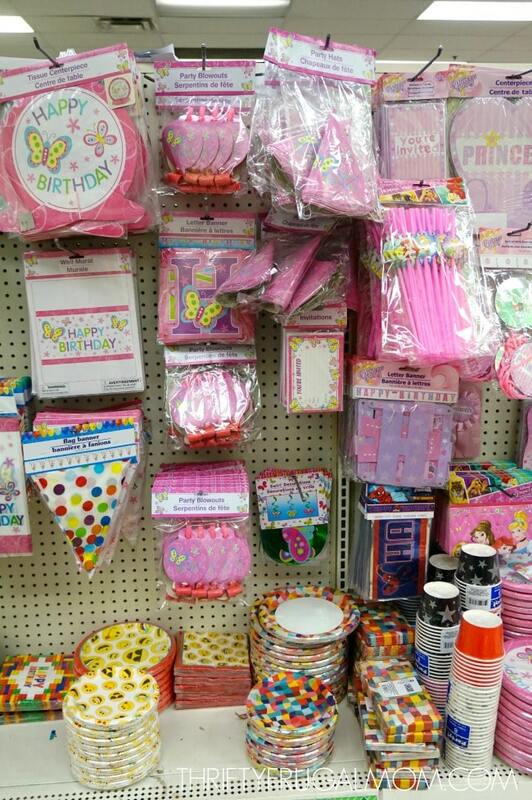 Dollar Tree also carries lots of themed party supplies- both for boys and girls. 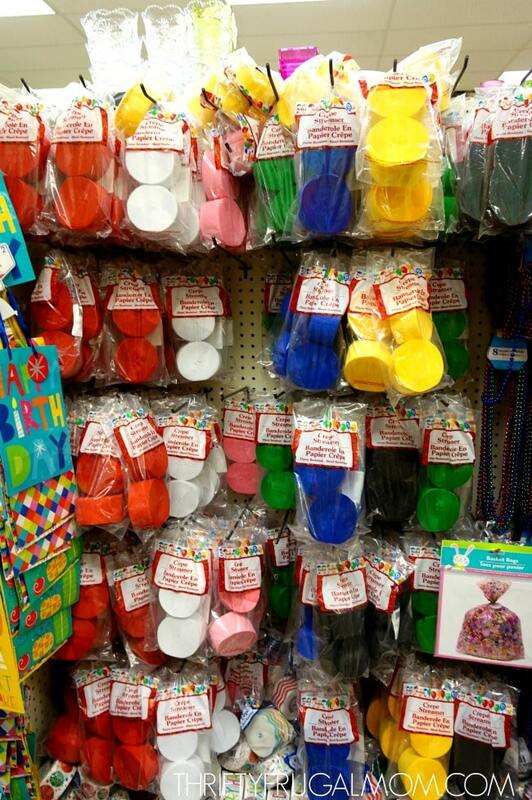 Perfect for planning a fun, inexpensive party! 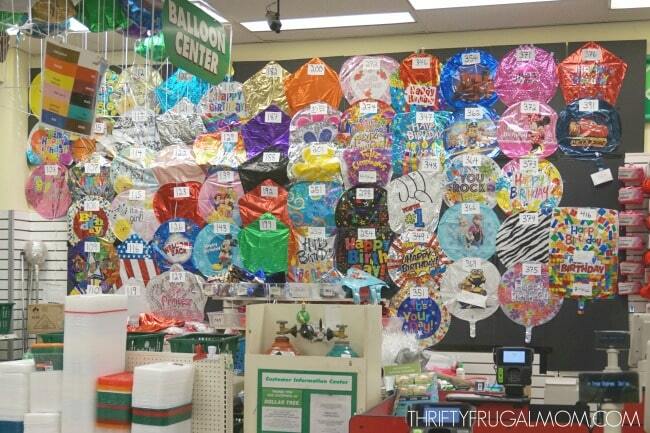 You won’t find helium balloons anywhere cheaper! I know what you are thinking- “But do they actually work? !” The answer is yes! We used these pregnancy tests to find out if we were pregnant with 4 of our 5 children and they were totally accurate! I actually rarely need to spend money on body wash, just because I can typically get it free thanks to my couponing. But $1.00 is a really good price for body wash and if you don’t coupon, it’s worth checking out! Toothbrushes can be crazy expensive, so I was excited to find them at Dollar Tree- and they even carry name brand ones! They also have kid’s toothbrushes too, which I love. 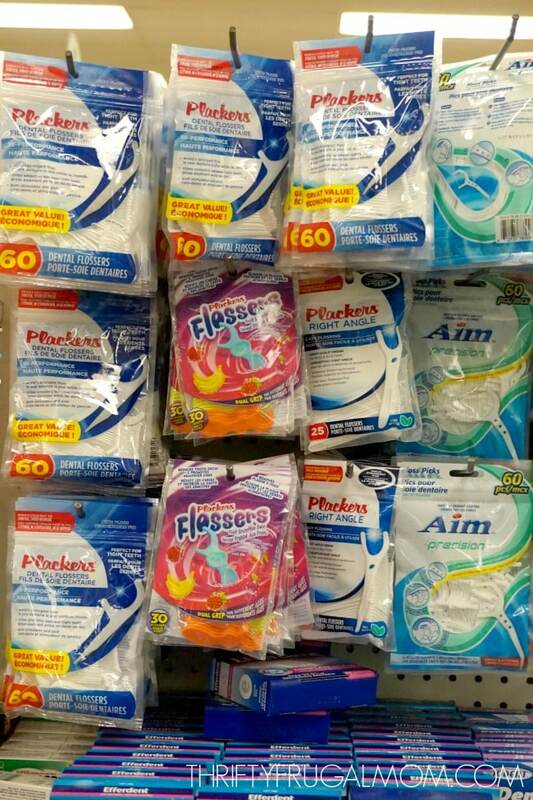 Again, I get lots of toothpaste free with my couponing. But if you don’t do coupons, this is a great price and they even carry Crest! Another favorite! And of course you can’t beat the price! I’m always surprised at how much cotton swabs cost when I need to buy them, and was pleasantly surprised when I spotted them at Dollar Tree! 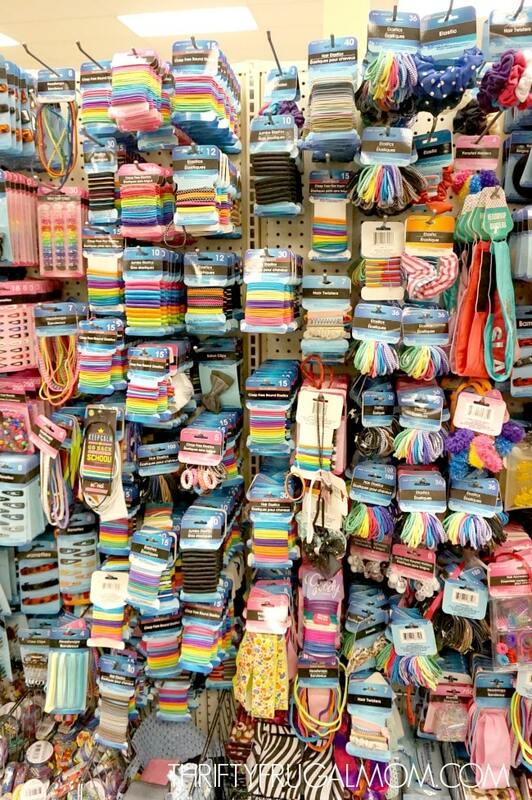 Head bands, clips, pony tail holders and more! All for super cheap! Such a great price, right? 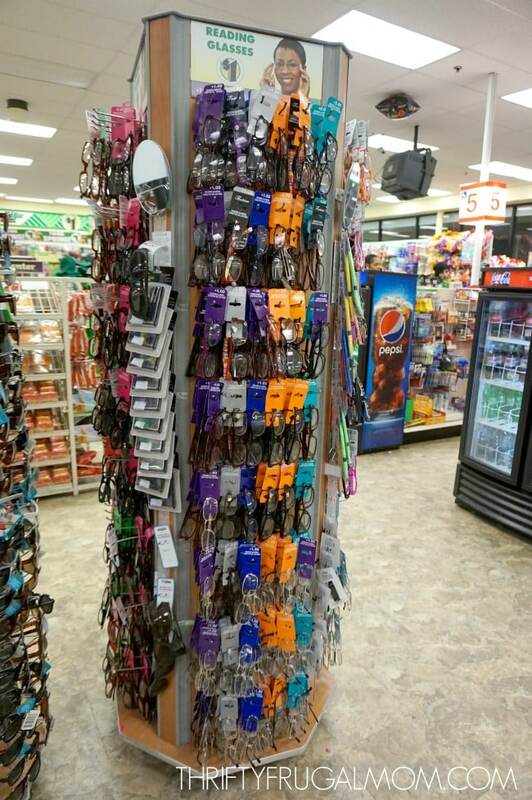 And no, I don’t use reading glasses myself, but I have several friends and family that do and they love getting them cheap at Dollar Tree. One friend said she really likes that she can buy several pairs to have at different spots without spending a lot, plus, if a grandchild happens to break them, it’s not a big loss. I was skeptical that cheap bandaids would actually work well, but we’ve not had any trouble so far! And my children think it’s great that I now get fun kid bandaids. I used to rarely by them because they were more expensive! 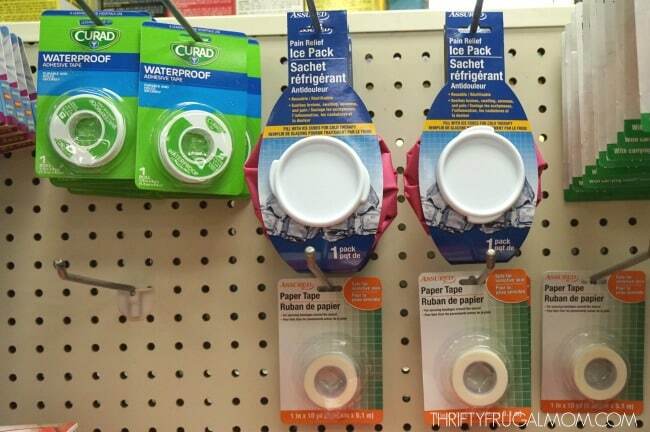 Dollar Tree carries both waterproof and paper tape. I love being able to stock my first aid box so cheaply! 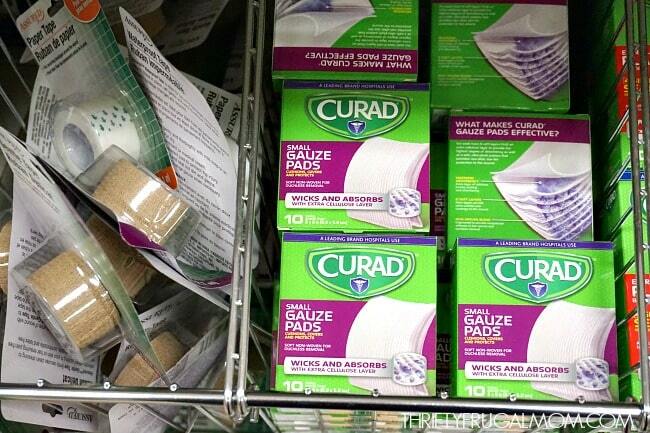 If you’re like us, you rarely need gauze. 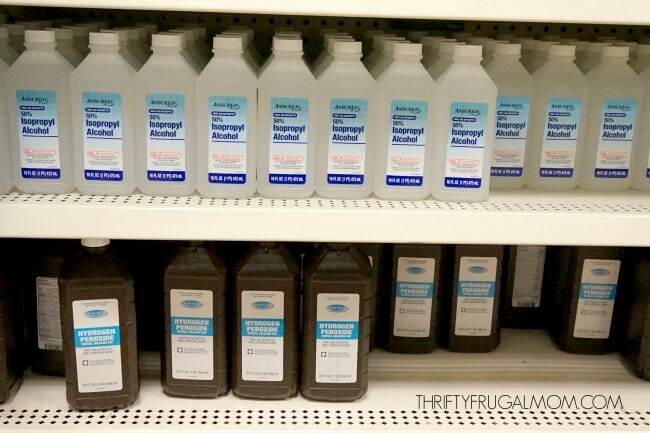 But if you’ve ever had to buy it at a drugstore, you know it’s not cheap! Definitely worth stopping by the Dollar Tree instead! 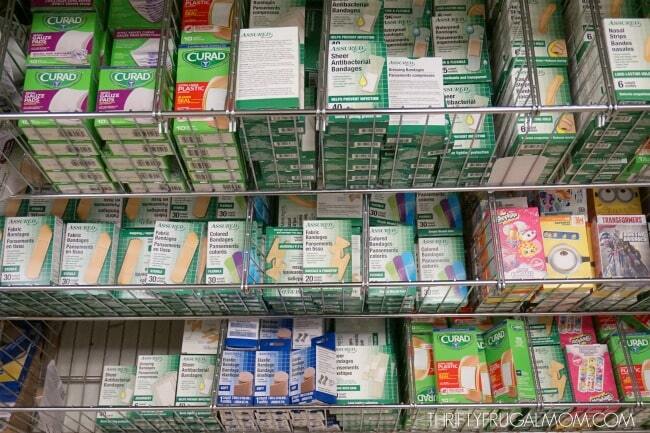 More first aid supplies at a good price! 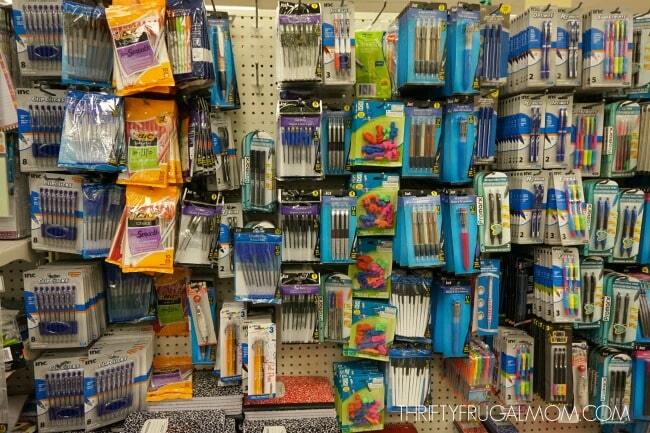 For some reason, we seem to go though pens and pencils like crazy! I guess it probably has something to do with having school age children who like to “borrow” my writing instruments. At any rate, I’ve been grateful for Dollar Tree’s inexpensive pens, pencils and pencil lead. With three children old enough to use glue and tape and one child that is especially interested in crafts, I’ve been very grateful for Dollar Tree’s great price! 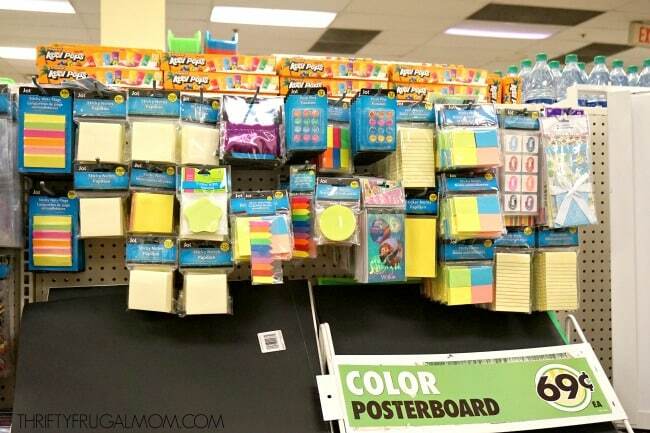 Use sticky notes a lot or have a child like I do that loves to play with them? Dollar Tree will be your friend! 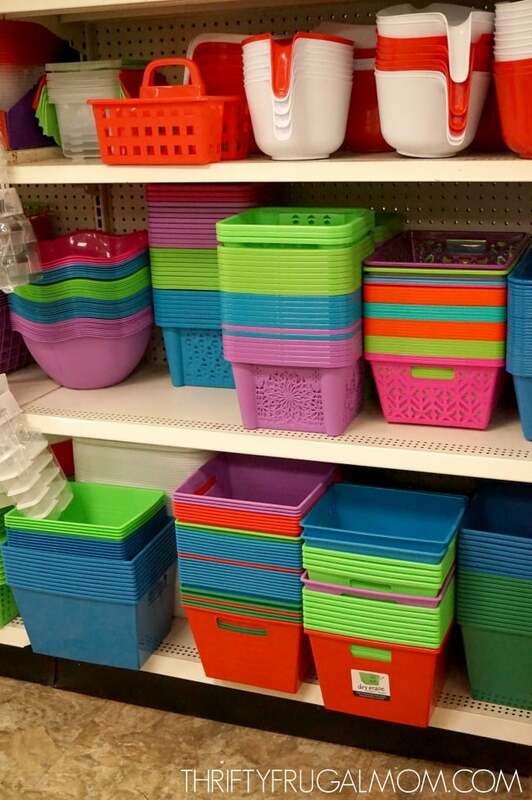 Dollar Tree always has a great selection of fun baskets, perfect for helping you stay organized. 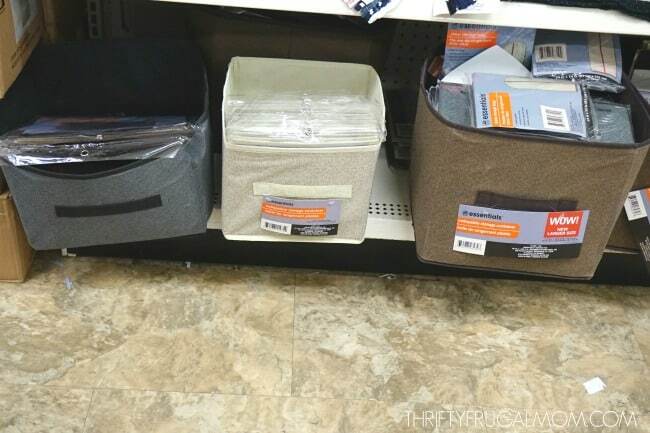 They even have clothes baskets! Totes like this are super versatile and I find myself using them in different places throughout the house to corral items. 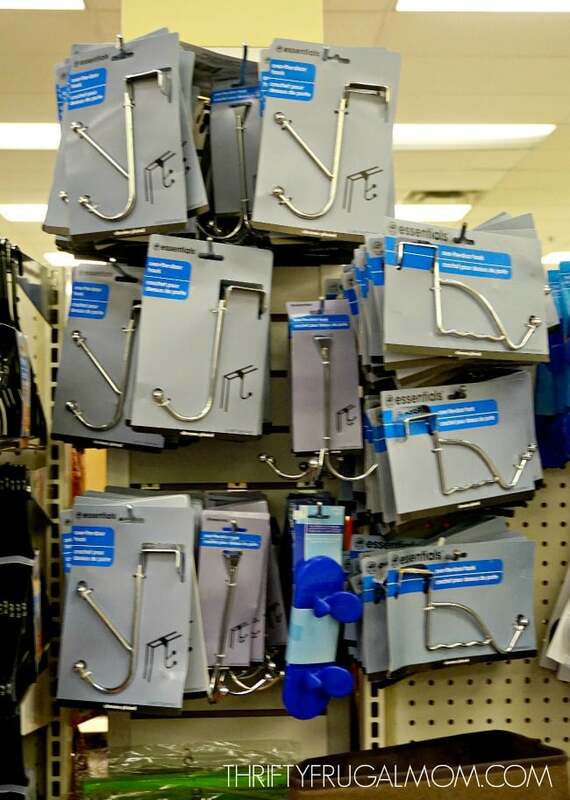 Hooks like this can be so handy! I wish I would have known that Dollar Tree carried these sooner! I bought a couple for our kitchen at another discount store and could have saved myself several dollars. My girls love coloring and Dollar Tree has become my favorite place to find books to keep them supplied. 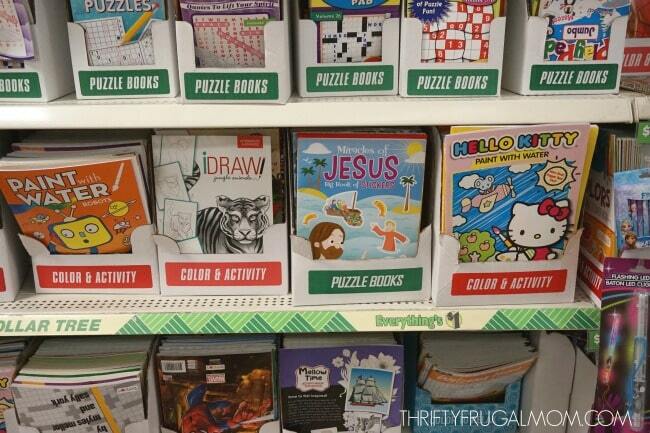 They also have some adult coloring books too. 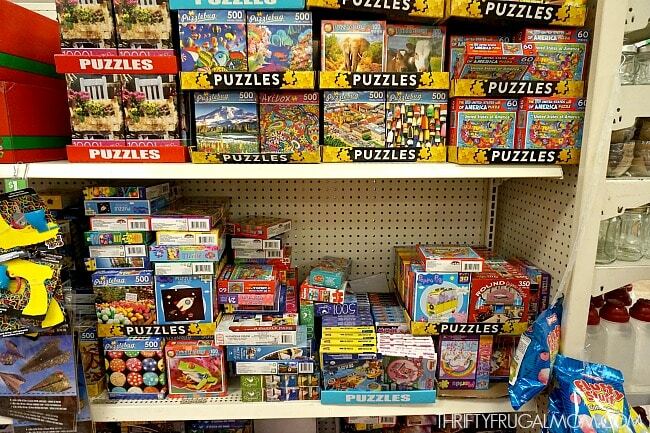 We all love doing puzzles, and while Dollar Tree puzzles aren’t quite as quality as some puzzles, they aren’t bad either. And because they are so cheap, I don’t stress if the kids mess them up or lose a piece when they are playing with them. I figure they got their $1 worth of fun out of them! Kids love stickers, right? I know mine can never seem to have enough! 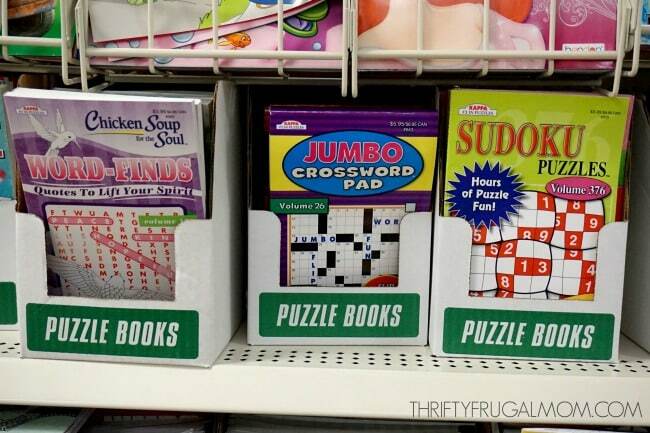 Get them cheap at Dollar Tree! Baker’s twine, popsicle sticks, ribbon, beads, glitter, jute twine, pompoms. 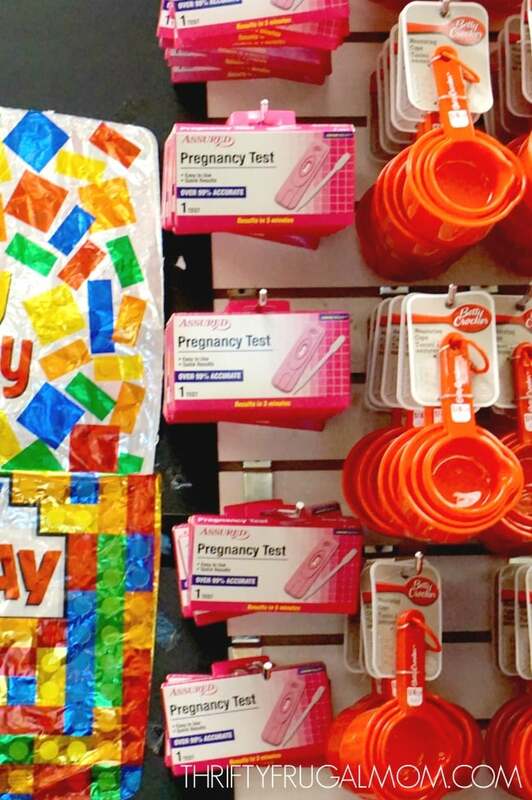 Dollar Tree has it all! 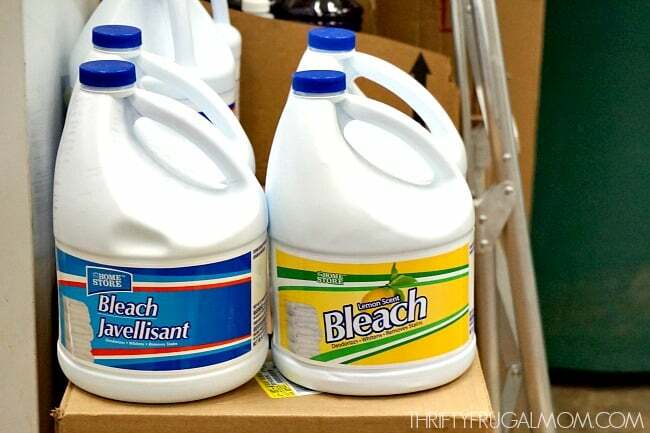 The cheapest place I’ve found to buy bleach! I don’t use bleach a lot, but I do like to add it to my loads of white towels when I add dish clothes. 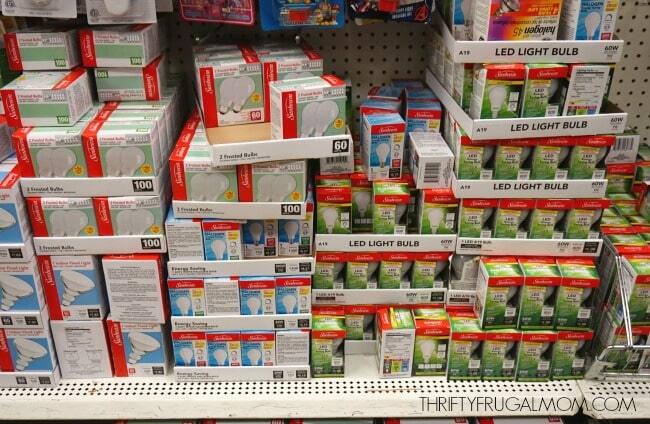 To save money, we’ve switched to LED bulbs, which can often be pricier to buy. 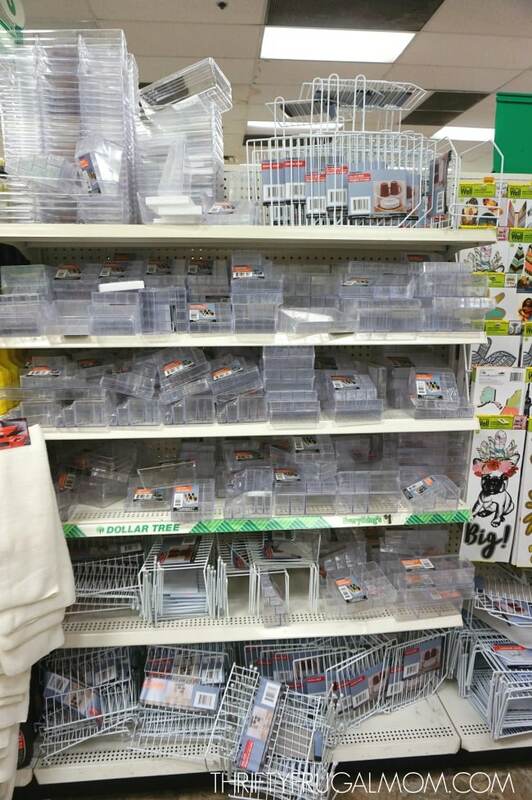 But thanks to Dollar Tree, that’s no longer such an issue! 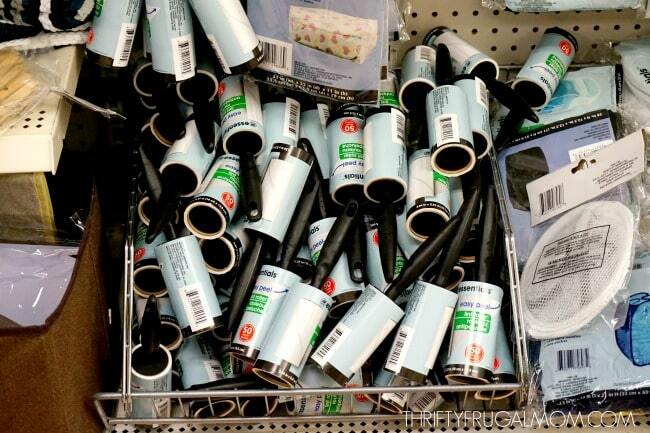 I use lint rollers all the time! My girls both have long, fine hair and I tend to have hair all over my lap when I’m done combing them. Lint rollers work great to clean it up in a cinch. I also like to use them to clean lampshades and cloth blinds. 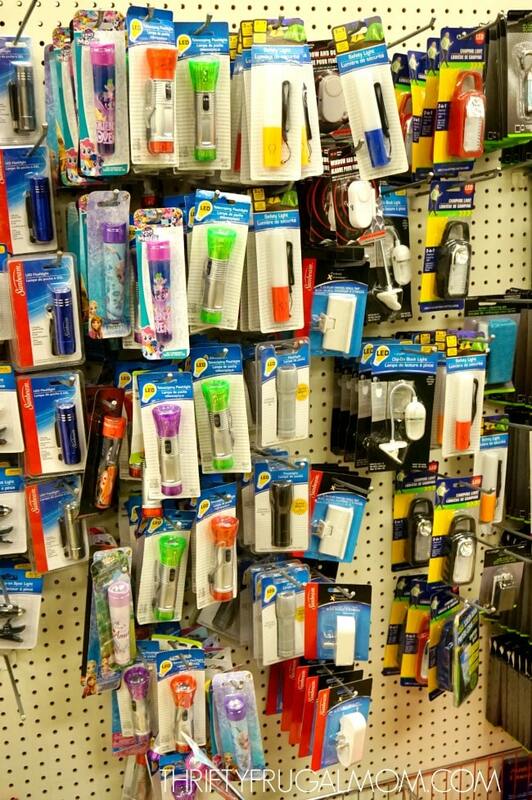 Our kids love flashlights! Not sure why, but they play with them a lot. And I love that I can keep them supplied without breaking the bank! I LOVE Dollar Tree!! Their floral is some of the best, and so much cheaper too! I also love the vases, seasonal items, decor items, and they've recently started carrying some planner supplies, which I love too! A friend of mine recently told me that they had run out of laundry soap and just grabbed some there, and that they preferred it to the name brand they'd been buying and it was much cheaper at DT. Great post! Never thought to look at DT's floral supplies. And planner stuff and great laundry detergent? Good to know! Both things can be so expensive at other stores! Thanks! We find some great deals at the dollar store. I try to get my greeting cards as well as my wrapping paper. It's much more economical than purchasing it elsewhere! 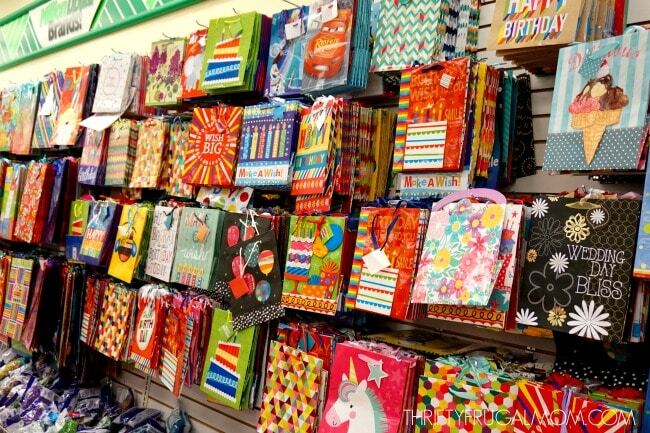 Greeting cards and gift bags are my favorite purchases there too, Sandra! I love all of these ideas! I definitely need to take advantage of Dollar Tree more often! Kim, I'm always amazed at all the great things that I find there! Thanks for sharing these. 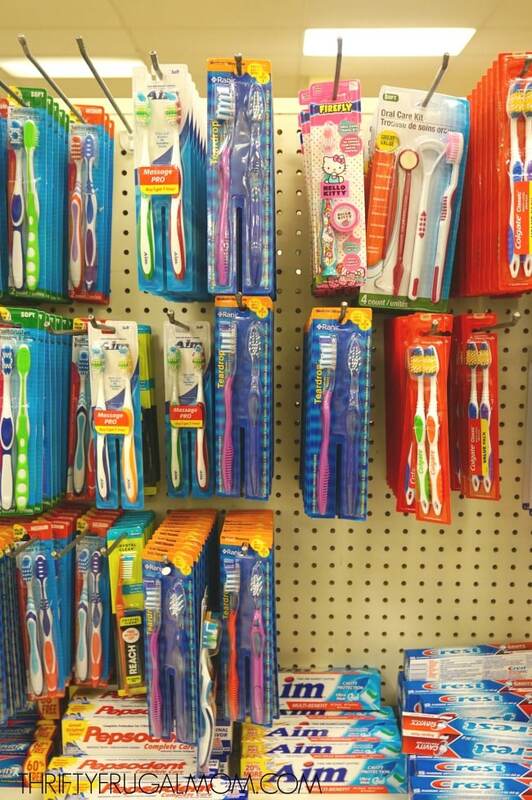 We love the Dollar Tree for crafts and birthday decor but I never thought to get toothbrushes and toiletries there! I hear ya, Nicole! 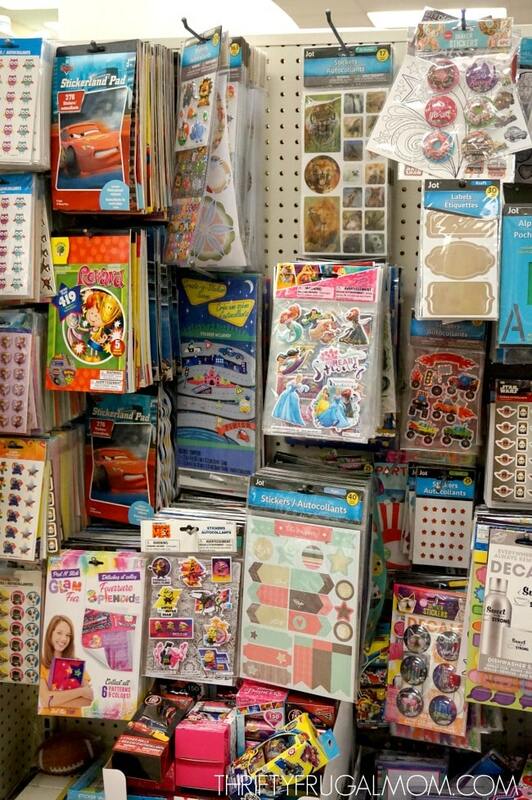 I used to only hit Dollar Tree for birthday cards and gift bags but once I started browsing the store more, I was pleasantly surprised at what other great buys they actually had! 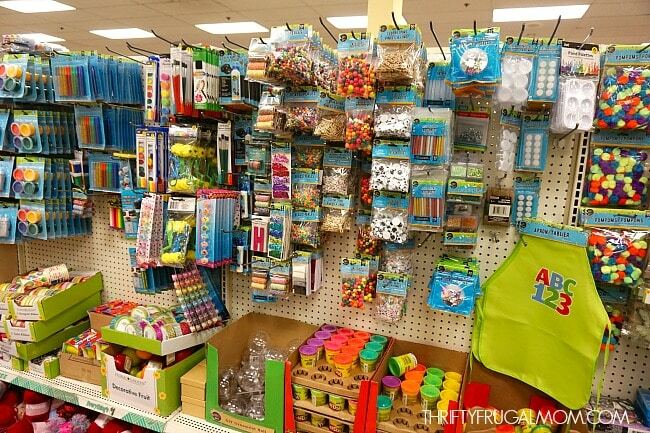 Love love love the Dollar Tree! I will never buy a card from the grocery store ever again. One thing I love getting there is snacks for my desk at work. I know I'm going to snack, and I'd rather spend less and have snacks at my desk than waste my money at the vending machine. Thanks for sharing! I know! I can't bring myself to buy cards anywhere else either. And great tip about the desk snacks. Totally makes sense! Wow, I had no idea they had pink Himalayan salt! And the cleaners? Good to know! I'm going to need to try the Oxy cleaner. Thanks for sharing! Hi! I'm a very frequent buyer at the Dollar Tree dollar stores. I do a lot of crafting with the Dollar Tree products. One thing I wonder about is how can I coupons. I read that other crafters speak about them. Question: How can you get coupons? Yes, Dollar Tree does accept manufacturer coupons! I don't see a lot of coupons that are for crafts, but sometimes coupons.com will have a few. Also, occasionally a craft brand's website will have coupons that you can print out too. Other than that, I'm not really sure since I'm not really a crafter (although I wish I enjoyed it more!). I am coming back to this web sight now I have a list to help even more for the b day get together. I LOVE the DollarTree. I have to contain myself. I love their containers. 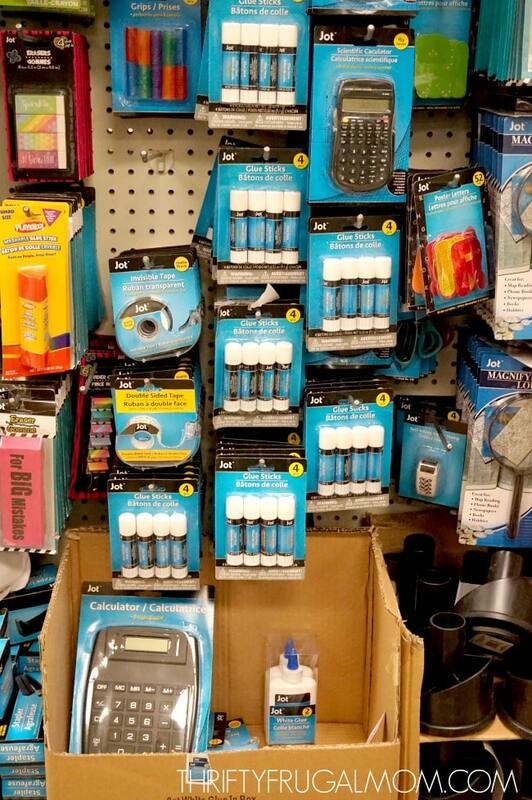 First aid supplies and hair stuff too. Love your blog! I feel like I'm always finding more things to get there too! Do you have information for beginner couponing? I'm sorry, I don't have much information about that on my site. But, I think you'll find lots of helpful information here on a coupon match-up site that I use. 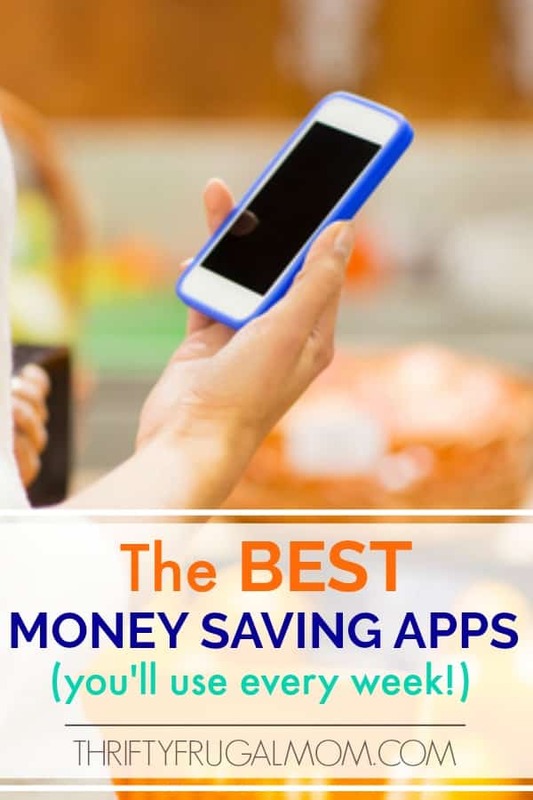 My best tips are to find a site like the one I linked to above that does coupon match-ups for the stores you shop at, since that will make things easy and save you so much time! The other thing to remember is that just because something is cheap, it doesn't mean you should buy it. So many people start couponing and end up finding they are spending more because they get sucked into all the great deals. Be selective with what you buy, only buy truly great deals or the free/almost free items and don't go crazy just because it's $1.00 (but you don't really need it or won't really use it). Hope that helps! Oh good to know about the pickles, Melba! My husband and daughter love pickles and I don't always get them canned myself. I'll have to look for the ones you are talking about! Great list. Half of the items look so familiar because they are in my home now!! There was a book of all mazes that Santa put in his stocking that my son loves. I also buy Witch Hazel (for my astringent) and the Sunday paper for the coupons. When they have it, I buy popcorn kernels and peanuts!! Frugal minds think alike, I guess! :) Are you saying that the Sunday papers are only $1 too? I didn't realize that! And good to know about the popcorn and peanuts.